The American tourist overseas, we have been told repeatedly, can be readily identified by his loud mouth, loud clothes, and the ubiquitous camera. The professional behaviorial scientist prefers to work as unobtrusively as possible - blending in with the natives he is studying. 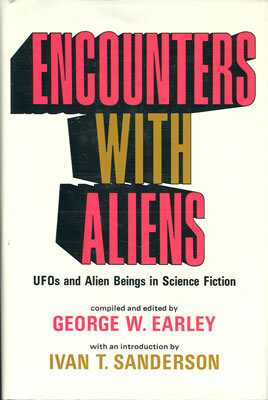 If, as some will argue, the UFO's are bringing to this planet those who would study us, it appears reasonable that such studies would include mingling with the natives, affecting their dress and customs. But the quantity of UFO reports and the diversity of UFO shapes reported argues for a great many observers - which poses the problem, for the alien, of distinguishing between a real earthman and another alien posing as an earthman.